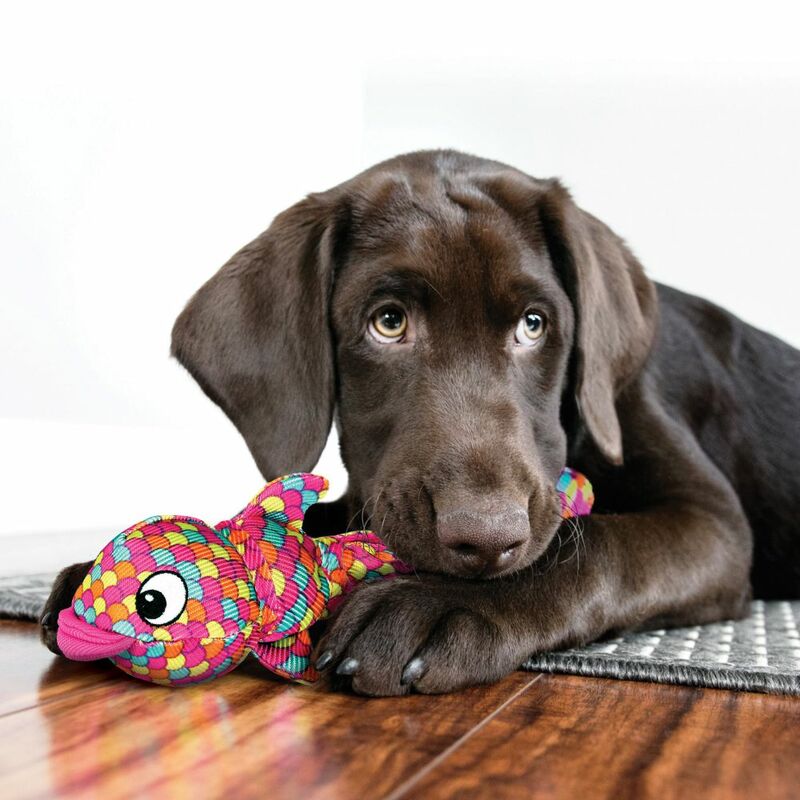 The new KONG Wubba Finz has long floppy tails that make it easy for tugging and super fun for your dog to shake, satisfying natural thrashing instincts. 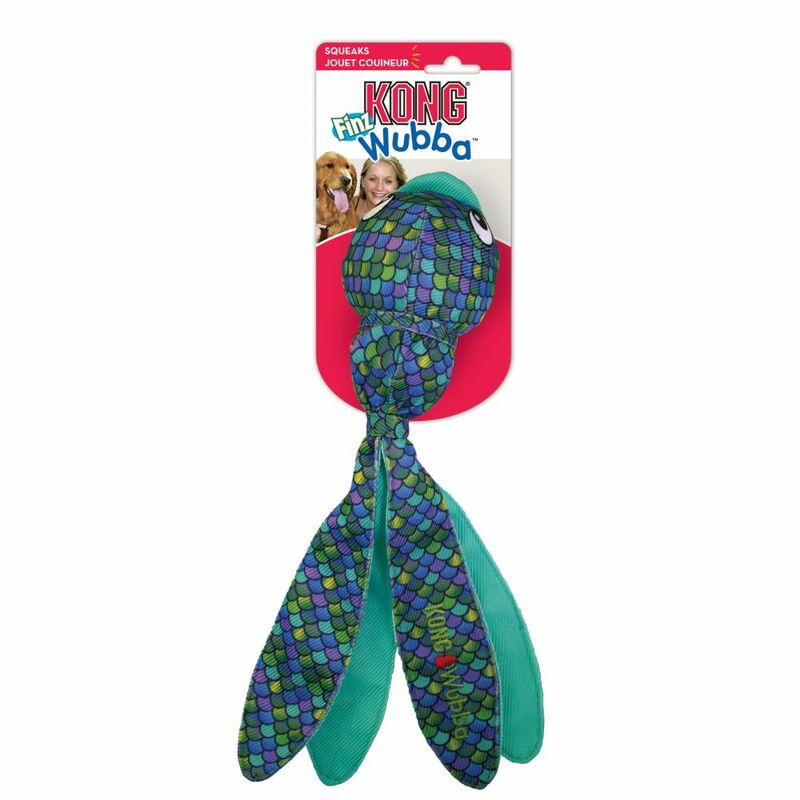 Two balls inside help KONG Wubba Finz bounce and squeak, extending games of catch and release for tons of healthy, active play. 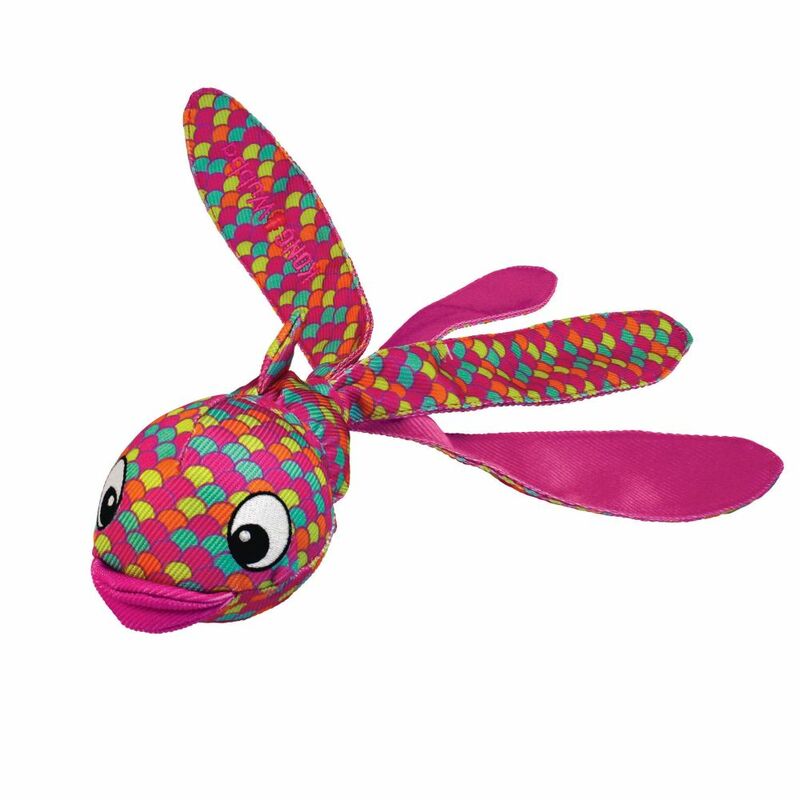 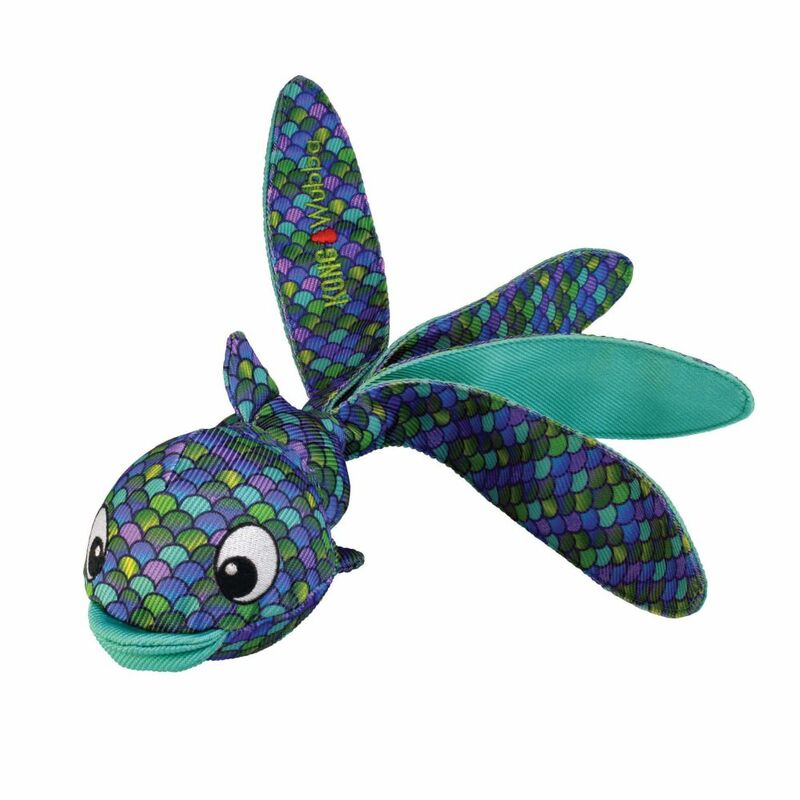 This flying fish is made to soar through the air and launch your dog into a fetching frenzy!